This week our weekly brunch at Nomad Bar will feature a Spanish Classic, a Chilean staple and a waffle also inspired by a classic South American sweet. 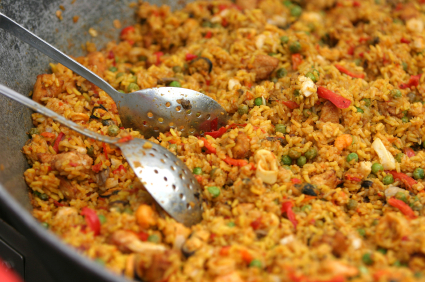 We will serve a mixed Paella with chicken, sausage and seafood. We will also feature Pastel de Choclo a beef casserole with a basil and corn topping. Our featured waffle is reminiscent of the South American sweet, Confites de Zanahoria made with carrot, carmel and sweet coconut. We will have a summer tomato salad and the favorites too! Brunch will be barbecued this week. We will combine Carolina Style Pork, Sausage from central Texas and a Chipotle chicken with Mexican roots. Slow and low smoked pork shoulder will be served with both Carolina Red Sauce and Mustard Barbecue Sauce. 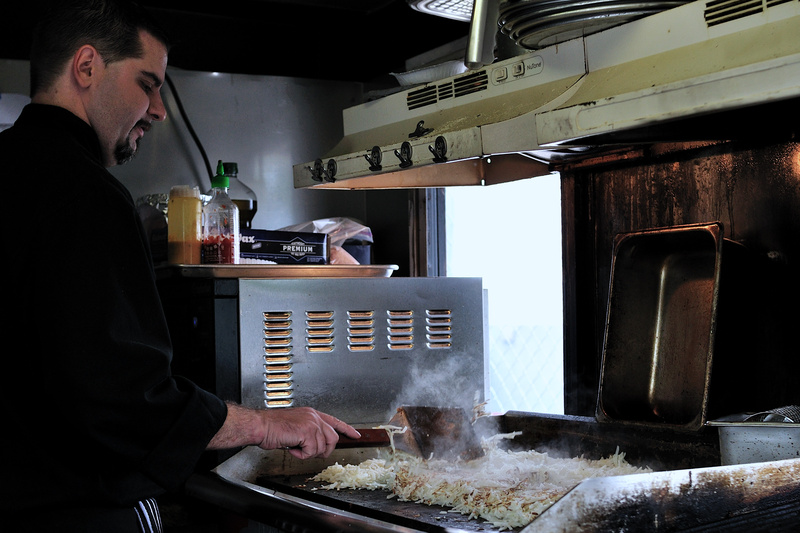 We will also serve Banana and Walnut Waffles plus all the other favorites. Hope to see you tomorrow! I’m really excited about what we have coming in August for brunch. We start off with a fruity brunch on the 1st which will feature summer fruit inspired dishes. 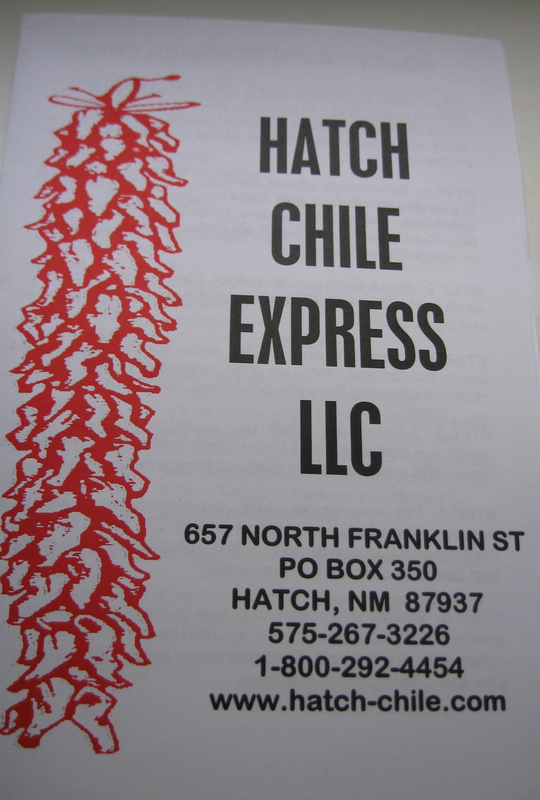 We will also have a celebration of the Hatch Green Chile. 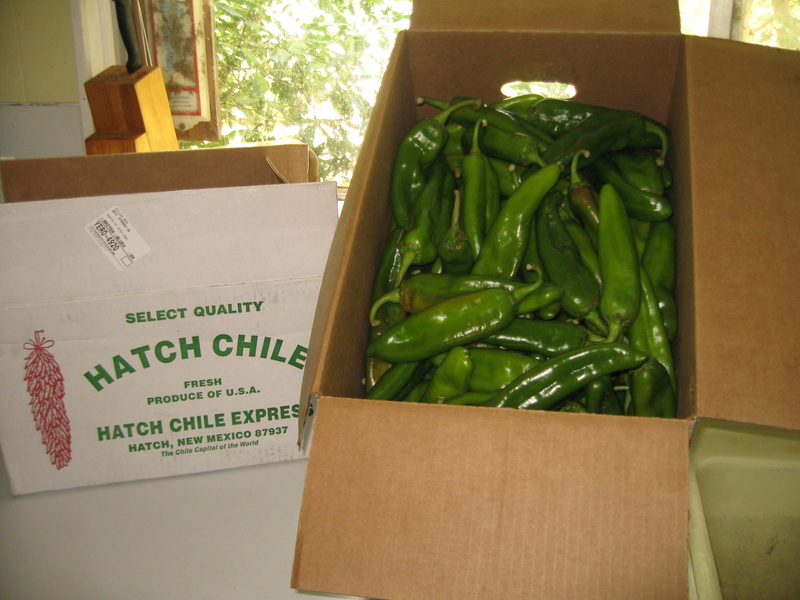 We are getting a shipment direct from farmer Jimmy Lytle at Hatch Chile Express. Even though it has been raining and hard to get in the field for harvesting, I was promised “we’ll put on some boots and get them picked just for you”. 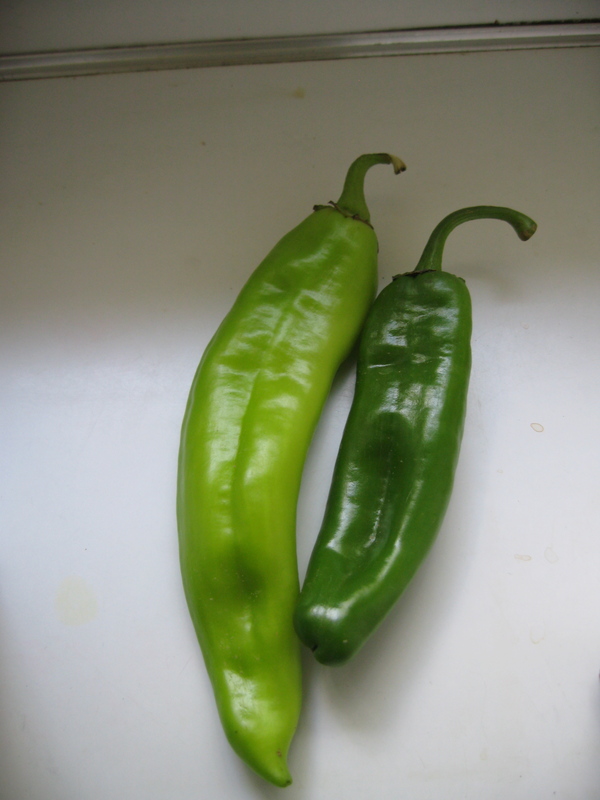 We will have some of the first Hatch Chiles in Austin; very exciting! Hoping to see all our friends and lots of new faces this month. Also September 5th will be the return of the Beer Brunch, always a hit! Check out our featured items. 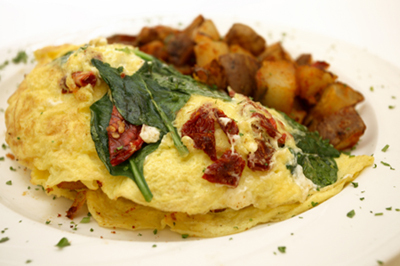 Eggs and Omelets “Your way”! Thank you from the very top of my full heart! As Traveling Bistro is well into it’s second year I wanted to take a moment to offer my most sincere thanks and gratitude. There are so many of you that I could not do this without your support and patronage. It really means the world to me. As I look to the future with even bigger dreams I know I will need you even more. So, I wanted to take this moment to recognize you. First and foremost my family. Without my wife Beth and all her talents I would not have much success. Her willingness to help with everything print and web and PR is beyond awesome. On top of that there is no one that I would rather have running those Waffle Irons each and every Sunday. Thanks Honey! My brother Buddy, when I can have him with me in the kitchen I never have a single worry. He’s the best damn Sous Chef for me there is. I hope when he is all done feeding the movie stars that I will get to work with him for years to come. Bud you rock! My brother and sister-in-law and nephew, Zach and Nichole and little Z. I love you and appreciate your support so much. Mom in law Liz, you have helped more than you know. You have allowed Beth and I to keep our dreams alive more than once. Thanks so very much. Next I would like to offer a special thanks Nomad Bar and Miguel Jimenez it’s owner. The partnership and the friendship mean so much. Nomad has provided a place for me to showcase Traveling Bistro and this alone has accounted for the majority of my business both at and away from Nomad. Miguel you have done a great thing for me and I will never forget that. I hope you don’t either. Friends, supporters and patrons. You keep this little catering company and personal chef service rolling. I would be remiss if I did not name some specifically. 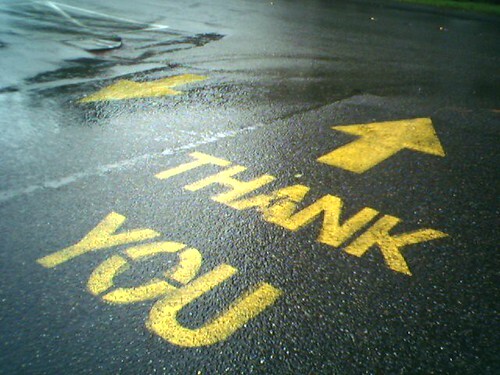 So thank you, Christina Cagle, Emily and John Beckett, Egan Jones, Brian and Lacy Laborde, Brian and Kristin Gray, Billysteve and Laurie Korpi, Emily Jones and family, Teresa Pappas, Chris Mac, Audra Shimek, Tami (Slim) Neumann, Corona Cafe, Adele Martin, Josh Powers, Julie Craig, Orion Archung, Twitter followers (especially @MisoHungry aka The Cupcake Fairy aka Jennie Chen) all the Traveling Bistro customers over the last year and a half. Please pass this on to those that might not catch it and if I missed someone important forgive me, you know you’re appreciated. Moving into the near future there are some events you may want to know about. Expect a redesign of the website soon. We are hoping to add some live music soon to Sunday brunches. Round 2 of Dinner ad Drinks @ Nomad. Supper Club and cookbooks in development. One of the best brunches in Austin? The Daily Texan thinks so! From The Daily Texan’s Summer guide! Many Thanks to the DT. In a medium bowl combine the first 5 (dry) ingredients. In a second bowl combine the remaining (wet) ingredients. Add the wet ingredients to the dry and mix thoroughly until there are no lumps. Preheat a waffle iron. Do not use non-stick spray on the waffle iron; the oil in the batter will allow the waffle to release easily. Follow the directions on your waffle iron to cook the waffles. Serve immediately with butter and syrup. For those that may be coming to the bourbon brunch you might find this post interesting at The Intoxicologist Is In. Videos include a fun talk by Bill Samuels Jr., President of Maker’s Mark from the Bourbon Blog and a tour of the distillery in Loretto, KY from Art of the Drink. Bill Samuels Jr also makes the perfect Mint Julep.